A non-profit and non-political institute founded by a group of professionals, technologists, educators, parents, and youth in the Greater Seattle Area to prepare the underserved immigrant youth in the community for success in multimedia technology locally, regionally, and globally. Multimedia Resources and Training Institute is a non-profit organization serving immigrant communities around Seattle and its vicinity. 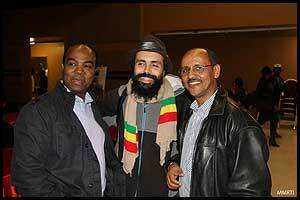 In the past, some of its projects were sponsored by Ethiopian Community Mutual Association; Ethiopian Educational, Cultural, and Sport Center; Yesler Community Technology Learning Center; Ethio Digital & IT Services (EDITS), Rainer Vista Technology Center; Seattle Park & Recreation; East African Arts & Cultural Association; and Seattle Community Access Network (SCAN). Currently, the City of Seattle Technology Matching Fund program funds the project. MMRTI was conceived in 2004 from a multimedia project sponsored by the Ethiopian Community Mutual Association. 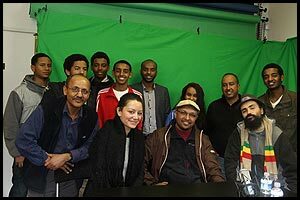 Then by combining with Ethio Youth Media (EYM) TV program in 2006, it expanded its service to the larger immigrant youth community reflecting activities and issues that affect young people most. EYM is now continuing its programming and values by teaching young people how to broadcast on TV and become future community leaders. The Ethio Youth Media TV is aired every week on Sunday from 7:00PM- 8:00PM, Wednesday from 5:00PM-6:00PM, and Tuesday 4:00AM-5:00AM on SCAN Cable 77/21.